The Priority School Building Programme (PSBP) is a £4.4bn undertaking to rebuild and refurbish school buildings in the worst condition across the country. The first phase covered 260 schools, with completion expected by the end of the year. A further 277 feature in phase two (PSBP2), with all of the refurbished buildings due to open in 2021. Working for Mace, Plowman Craven provided a full spectrum of surveying and measuring services to help identify the buildings most in need of attention in PSBP2. Providing 10 different survey types – the most Plowman Craven has ever produced for a single project - we collaborated closely with both the client and schools to provide a one-stop-shop measurement and consultancy service that helped save time and money. Plowman Craven provided a full spectrum of surveying and measuring services to help identify the buildings most in need of attention in PSBP2. 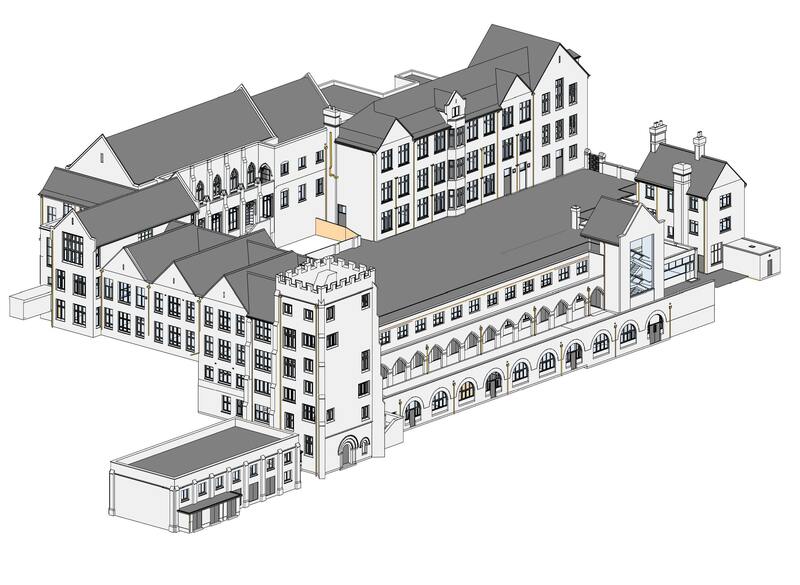 In what was a unique project, Plowman Craven produced everything from building condition and topographical surveys to ecological appraisals and arboriculture surveys, as well as delivering LOD3-level BIM models. 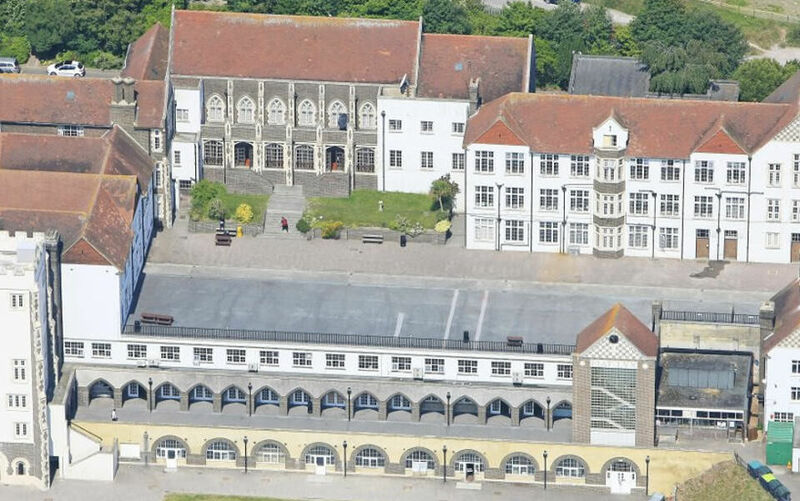 With a very fast turnaround (generally six weeks from contract to delivery) and a requirement to minimise the disruption to everyday school life, we deployed a range of innovative techniques and technologies to efficiently coordinate survey teams and provide a broad range of deliverables. The first phase covered 260 schools with a further 277 schools in phase two. Part of the undertaking to rebuild and refurbish school buildings. The most Plowman Craven has ever produced for a single project. That meant scanning classrooms during breaks and after school, while scanning libraries, kitchens and store rooms during teaching hours. The result for the client was a saving in both money and time. All our teams also underwent enhanced DBS (formerly CRB) checks prior even to the work even being instructed - this again minimised the risk of delay and ensured that we were able to maintain the schedule. We laser scanned all the external and internal elements of the selected buildings, enabling the creation of a point cloud that could then be turned into an as-built BIM model (delivered in Revit to LOD3). The challenge of working in a school environment dictated the choice of scanning equipment. For the internal scans, we deployed the lightweight Faro X360, while for the external scans we selected the Leica P40, which provides extremely detailed results and elevations. Unusually, the client specifically requested a GIFA (Gross Internal Floor Area) measurement that recorded the size and usage type for every internal space, in order to provide a detailed inventory of floor space. 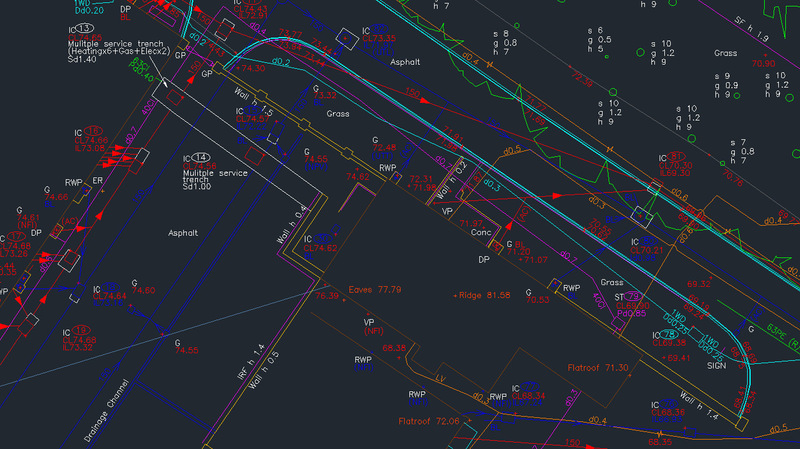 Our surveyors measured all buildings, using supplied floor plans and the BIM models for guidance – their report then delivered a schedule for each room and a location plan that showed the layout of the building, floor by floor. 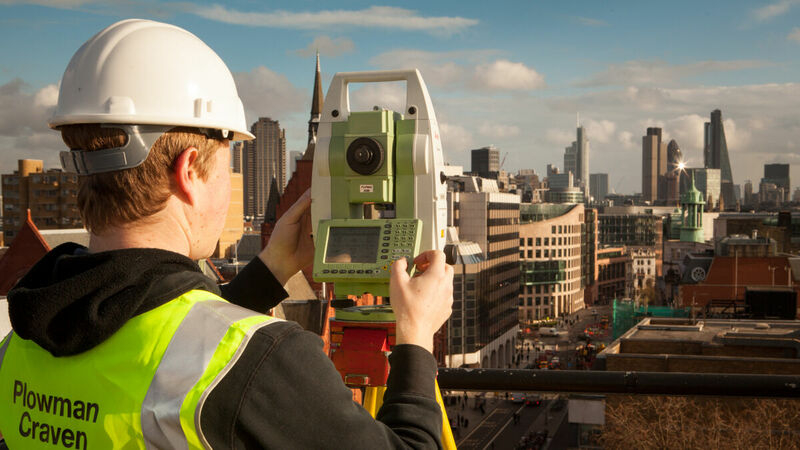 Our surveying teams created a 3D topographical survey for each individual school that showed roads, elevations, underground services, building outlines and even trees. The topographical surveys were captured using a Leica Total Station TS15 – 5 second instrument, and we also deployed our drone or UAV (Unmanned Aerial Vehicle) at selected locations. Underground Services (UGS): Our utilities team mapped the underground services routes, including: foul and surface water drainage, water pipes, gas pipes, electrical cabling, telecommunications cabling and a number of school specific items such as data networking, alarm cabling and tannoy systems. The UGS service routes data was then added onto existing survey data to form part of the topo survey. We used a state-of-the-art dual frequency radar unit (IDS-Duo) that can simultaneously scan two different levels, enabling us to record depths of 0-1m (higher frequency) and 1-3m (lower frequency), saving a great deal of time and money – and revealing all the secrets buried in the ground. 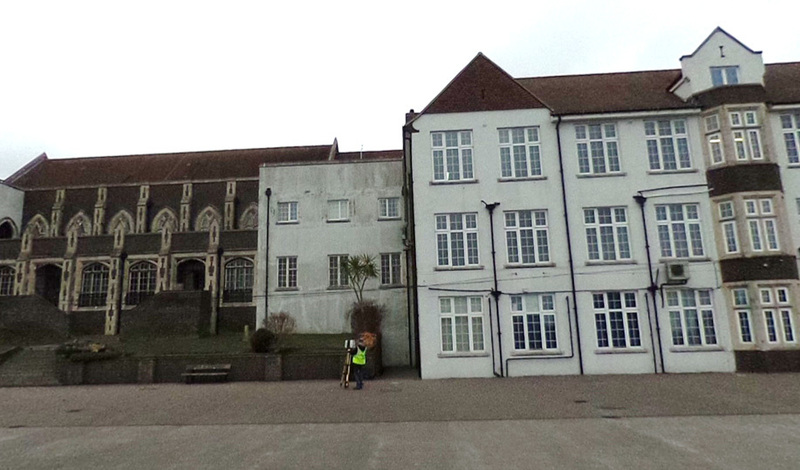 At Dover Grammar School, we even discovered a number of World War II tunnels that ran beneath the school! Additionally, our UGS team undertook a CCTV condition survey of the drainage network across the schools, lifting all manhole covers to identify and measure the content using a high definition video camera that is inserted into each pipe. As the camera progresses along the pipe, notes are made on connections, defects, blockages and damage encountered. The CCTV surveys are part of the UGS work but are delivered separately – as a series of videos, one for each run surveyed, and also as a report detailing the defects and condition. These were conducted across all the sites to assess the presence of wildlife and potential impacts on habitats. The exercise uncovered multiple items and species of interest, including bats in eaves and fox dens near long-jump pits, as well as a number of rabbit burrows, badger setts and priority bird species nests, enabling individual schools to plan accordingly. The range of services which Plowman Craven has been able to deliver on this project has proved very beneficial. Even with multiple surveys across 25 schools, we have a single point of contact and the ‘one-stop shop’ approach saves us valuable time. Plowman Craven has been able to mobilise teams at short notice and communication has been seamless.